Natural gas is a fossil fuel that we have a lot of here in the USA, twice as much as Saudi Arabia has oil. Natural gas is found in shale which is found two miles underground. To get to the natural gas you have to drill wells on empty farmland. You could get millions of dollars selling your land to the gas companies; you could become a millionaire overnight. Hydraulic Fracturing (fracking) is a process used to get natural gas out of the ground. How it is done is that water is mixed with sand and chemicals and then pumped down into the well, creating an enormous pressure which cracks the shale open and the natural gas floats to the top of the well so companies can sell it. 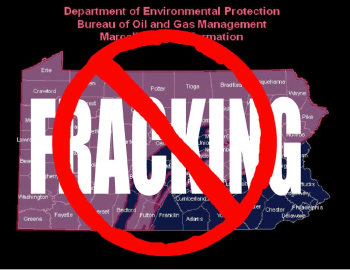 Fracking has already started production or exploration in over thirty states, and has already started production in Pennsylvania. Even though fracking may not seem like a big issue to people who live near a big city, like Philadelphia, in other parts of Pennsylvania it really is a big deal. People are really worried that the Susquehanna is going to get contaminated and then that cuts off some peoples drinking supplies. My personal opinion is that we should find a safer way to retrieve natural gas than fracking, but that’s just my opinion. Lots of people think fracking is great because we can now provide our own gas in the USA and become a more independent country. Here is where I got my information. There is a great video at the first site that teaches you a lot about fracking here in the USA.